Yesterday, Emma told Adam "you're barking up the wrong tree". We laughed, a lot and when I asked her where she heard that, she said, "Big Bird". Man she kills me. Never a dull moment. This is going to be a fun Christmas. She's loving it. 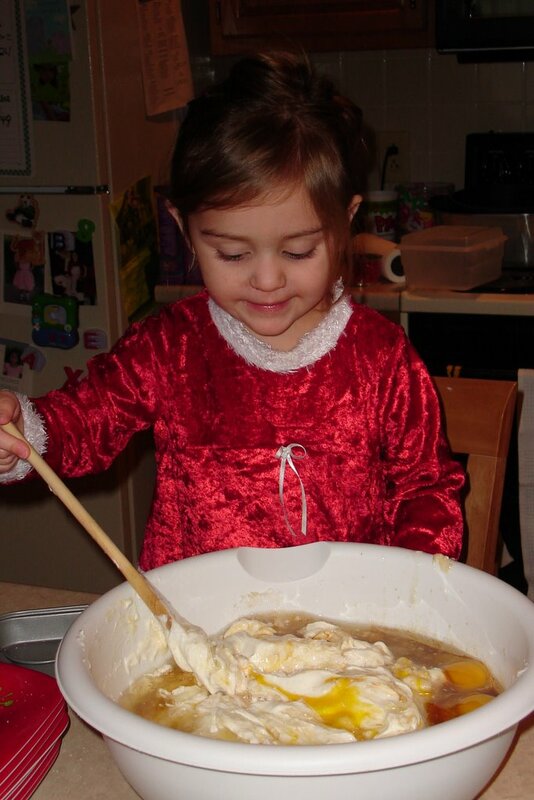 This morning, we were making Christmas cookies and she kept sticking her fingers in the batter. I told her to quit sticking her fingers in the batter and she said, "I'm not, this is my thumb" and showed me a batter covered thumb. She's a smart one. Long term, team players needed, for challenging permanent work in an, often chaotic environment. Candidates must possess excellent communication and organizational skills and be willing to work variable hours, which will include evenings and weekends and frequent 24 hour shifts on call. Some overnight travel required, including trips to primitive camping sites on rainy weekends and endless sports tournaments in far away cities. Travel expenses not reimbursed. Extensive courier duties also required. The rest of your life. Must be willing to be hated, at least temporarily, until someone needs $5. Must be willing to bite tongue repeatedly. Also, must possess the physical stamina of a pack mule and be able to go from zero to 60 mph in three seconds flat in case, this time, the screams from the backyard are not someone just crying wolf. Must be willing to face stimulating technical challenges, such as small gadget repair, mysteriously sluggish toilets and stuck zippers. Must screen phone calls, maintain calendars and coordinate production of multiple homework projects. Must have ability to plan and organize social gatherings for clients of all ages and mental outlooks. Must be willing to be indispensable one minute, an embarrassment the next. Must handle assembly and product safety testing of a half million cheap, plastic toys, and battery operated devices. Must always hope for the best but be prepared for the worst. Must assume final, complete accountability for the quality of the end product. Responsibilities also include floor maintenance and janitorial work throughout the facility. None required unfortunately. On-the-job training offered on a continually exhausting basis. Get this! You pay them! Offering frequent raises and bonuses. A balloon payment is due when they turn 18 because of the assumption that college will help them become financially independent. When you die, you give them whatever is left. The oddest thing about this reverse-salary scheme is that you actually enjoy it and wish you could only do more. While no health or dental insurance, no pension, no tuition reimbursement, no paid holidays and no stock options are offered; this job supplies limitless opportunities for personal growth and free hugs for life if you play your cards right.